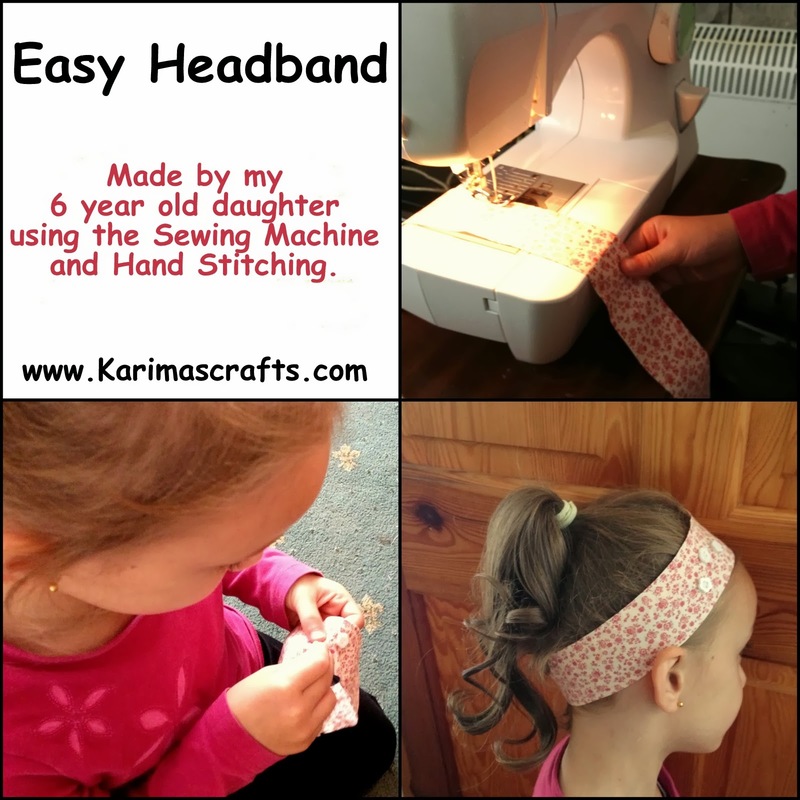 My 6 year old daughter has just completed her first sewing project on the sewing machine - A Headband. These are one of the easiest things to make and children love them! We just used some spare fabric she liked which was from an old top no longer needed. She decided to embellish it with buttons which she hand sewed onto the headband by herself too! Unfortunately I don't have any step by step photographs as this was my child's project and I had to supervise her whilst using the sewing machine and hand sewing decorations onto it. I ironed the fabric for her as I wasn't ready for her to also use the iron quite yet! 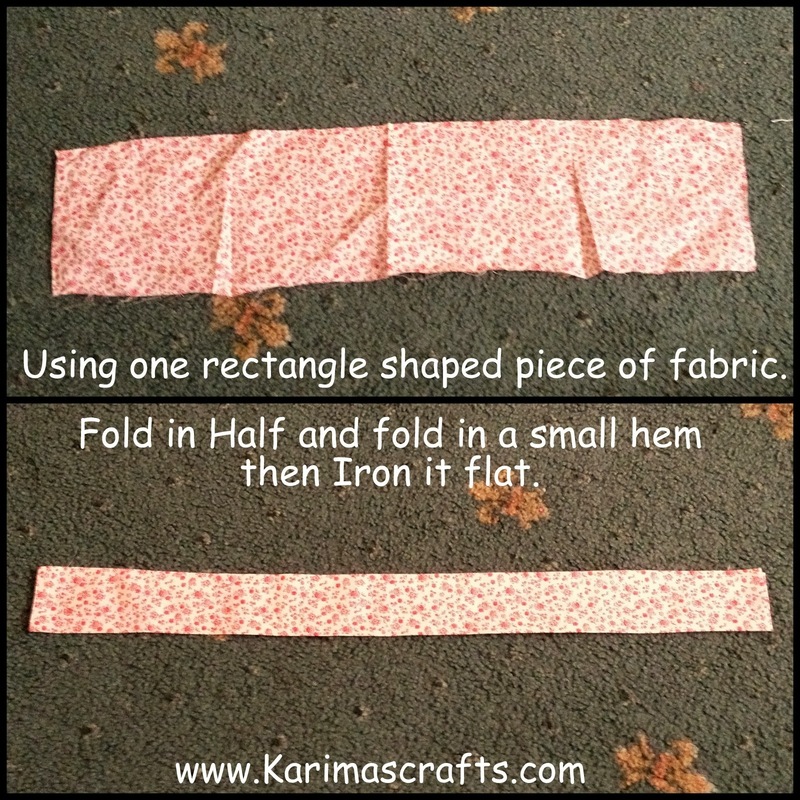 All you need for this project is a wide piece of rectangle shaped fabric - the size should be able to fit around the head. You also need a piece if elastic to attach to both ends of the rectangle. 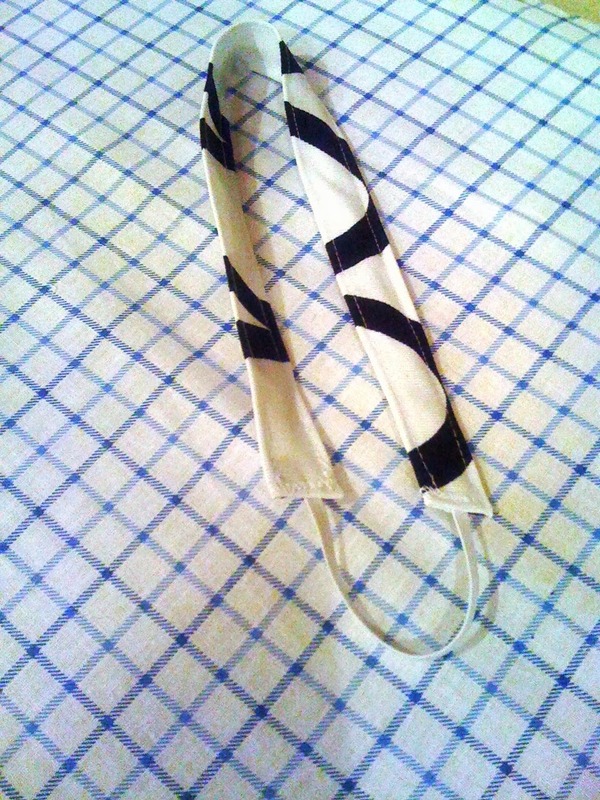 This enables the headband to stretch over the head and stay in place. If you look at the link I shared with the full tutorial you will be able to see for yourself how easy these are to make. This is very easy Ma Sha Allah! Thanks sis. Will try whenever I am free.. My kudos to your little girl. She has done a great job, indeed! MashAllah your little one is so clever..my daughter is 7 and doubt she would go near a sewing machine or do anything like this! MashaAllah your daughter is learning a beneficial skill so young. Her headband is cute, I still wear headbands now and again.